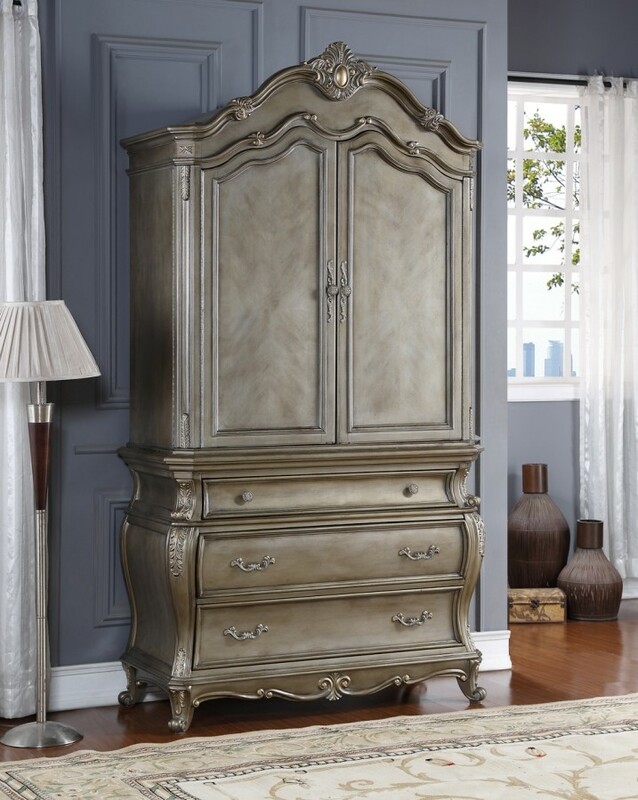 Roma bedroom set in antique silver finish solid wood traditional style will turn your home into luxury palace. Genuine black granite tops dresser and nightstands with antique hardware large drawers and curved legs. High quality classic wood design on all pieces and elegant unique curves. Luxurious crystal button tufted velvet upholstered bed is the focal point of this collection.